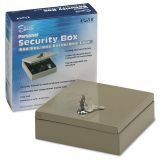 PM Company SecurIT Steel Personal Cash/Security Box w/4 Compartments, Key Lock, Pebble Beige - Box securely screw mounts to inside of drawer (screws included). 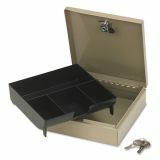 Removable four-compartment tray accommodates cash and valuables. 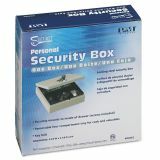 Features a key lock.